ALLIGATOR DESIGNS PVT. LTD., is engaged in providing cutting-edge technology in rugged electronic systems and caters to the embedded system needs of various industrial segments like research & development establishments, defense & military organization, aerospace industry and various other industries. 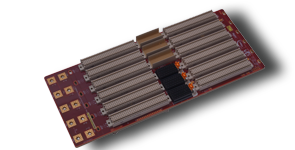 With the support of its in-house engineering and manufacturing capabilities, the Company is able to design and develop products for scalability, modularity and seamless integration for a variety of demanding applications. 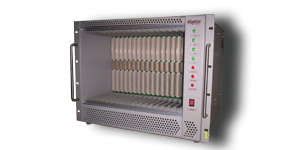 The Company’s product line spans from commercial and rugged single board computers, enclosures, display systems, consoles, ATR’s, backplanes, mobile solutions, racks, switches, servers, power supply to fully integrated systems. The Company is able to fully address the complex needs of every customer. 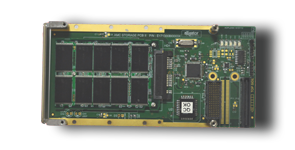 Since its inception, in the year 2002 ALLIGATOR DESIGNS has grown manifolds in terms of numbers and complexity of applications and projects handled with vast experience in Open System’s architecture, such as PCI, cPCI, VME, VXS and VPX subsystems. The Company’s combination of mechanical, electrical and applications design knowledge is based on working with performance and mission critical application solutions for nearly 10 years. ALLIGATOR DESIGNS’ commitment for quality is apparent through its ISO 9001 certification. The Company strive to provide products superior in Quality, Reliability, Performance and Innovative Design solutions. Its advanced Testing and Manufacturing facilities are built to suit international standards to ensure the highest level of quality for products and services rendered.